This is what I came home to today! 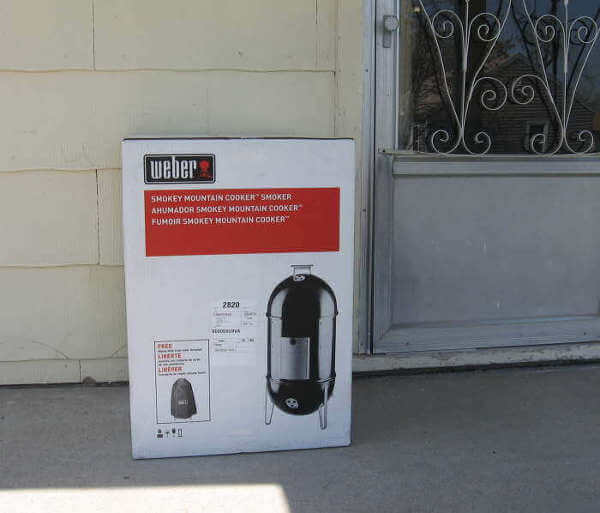 My new Weber smoker sitting on the front porch! 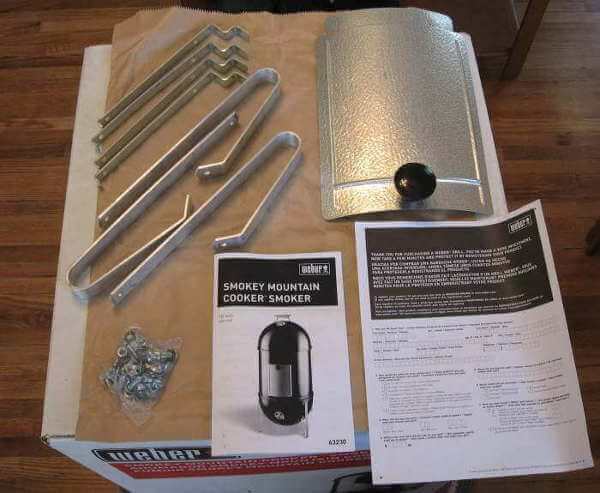 The Weber Smokey Mountain Smoker is a very well made vertical charcoal smoker that cooks like a charm. And if cared for, it will provide many years of service. The body is heavy duty sheet metal coated with durable porcelain. It carries a 10 year rust through warranty, which is pretty nice. 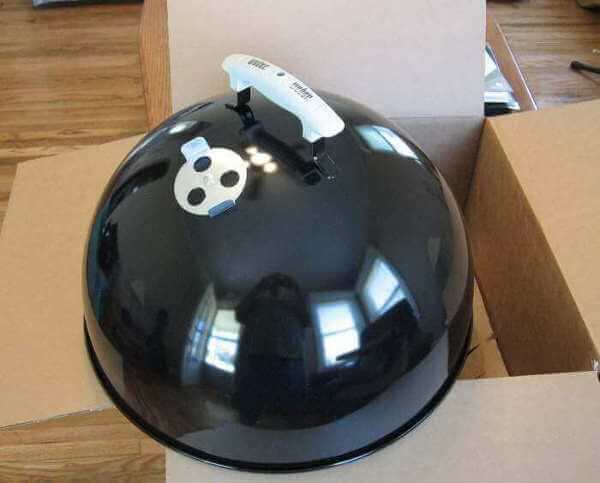 Unlike cheap vertical charcoal smokers, the base on this one allows precise control of the intake air feeding the charcoal. 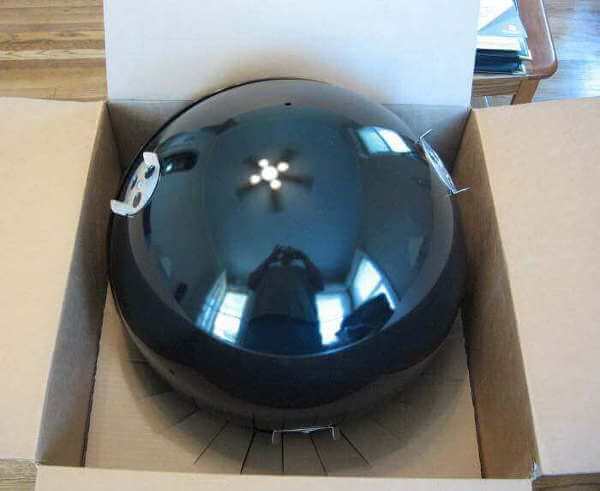 In fact, it can smoke for up to 12 hours straight on one filling of charcoal briquettes. The inner diameter of the smoker, affectionately nicknamed "The Bullet", is 19 inches, which accepts the 18-1/2 inch diameter food grates. One food grate has handles, and one doesn't. Why they both don't have handles, I couldn't tell you. The handled one should be placed in the top position. The handles make it easy to remove to gain access to the food on the bottom grate. I received my brand new Weber Bullet via UPS today. I can't wait to use it. I will keep you all posted. By the way, I got a great deal on it from Amazon...$199.99, which is $100 off the list price. And I got overnight shipping for only $3.99 more! What a deal. I opened up the box, and noticed that Weber does an excellent job of packing each item securely in the box. There would be little chance of any part of the smoker being damaged in transit. Here are a few pictures of my new Weber smoker. All of the small parts were packed nicely in a cardboard box. Here's what I found.